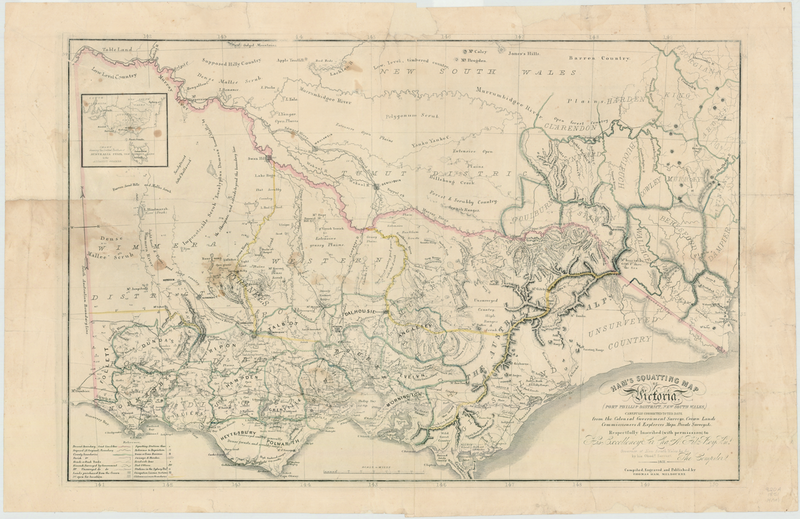 Maps here are reproduced under 'fair dealing' for the purpose of private study, research, criticism or review as permitted under the Copyright Act 1968 (Cwlth). Documents and Maps have been compiled from information obtained from sources by Save Tootgarook Swamp, mainly being from the State Library of Victoria and the National Library of Australia. 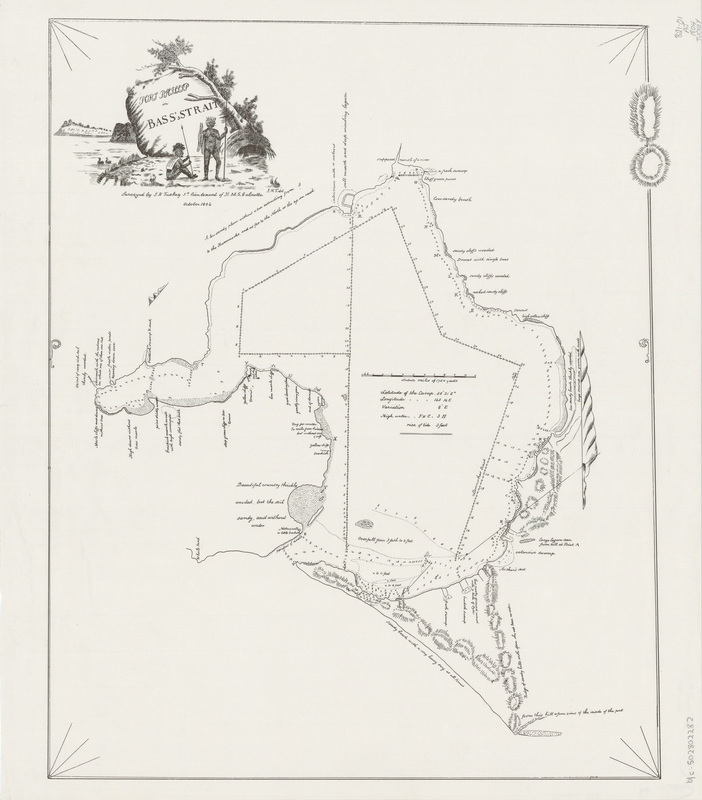 Images of Maps on this page have been created by their respected owners. 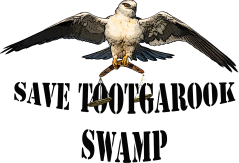 No responsibility is accepted by Save Tootgarook Swamp for the accuracy, completeness or correctness of any information. Readers should rely on their own enquiries in making decisions touching their own or any other person's interest. n.b. Click on each image to see a larger view. To Download maps click on the download button. Images are in High Resolution TIFF or JPEG file format, and varying large file sizes. 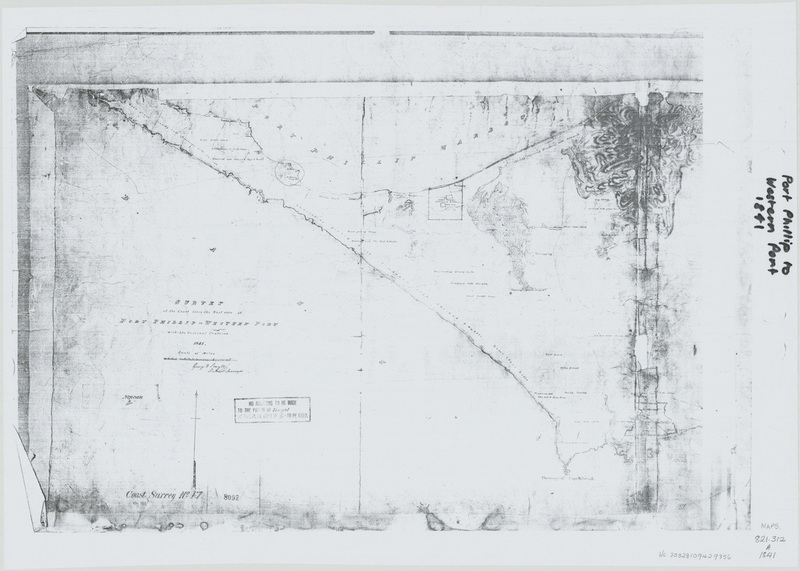 M. Flinders 1802, Sketch of Port Phillip. Act. Lieut. 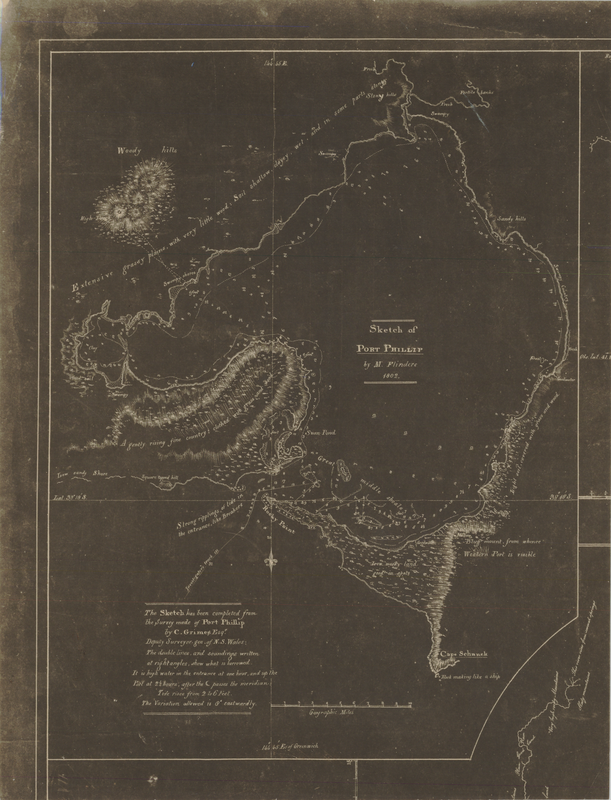 Murray of the Lady Nelson 1802, Plan of Port Phillip in Bass Strait. 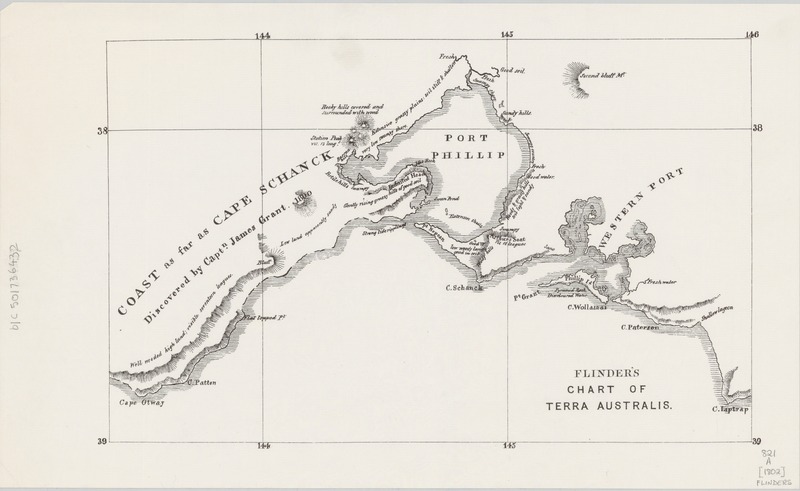 C. Grimes 1803, Port Phillip. J.H. Tuckey, 1804, H.M.S Calcutta. 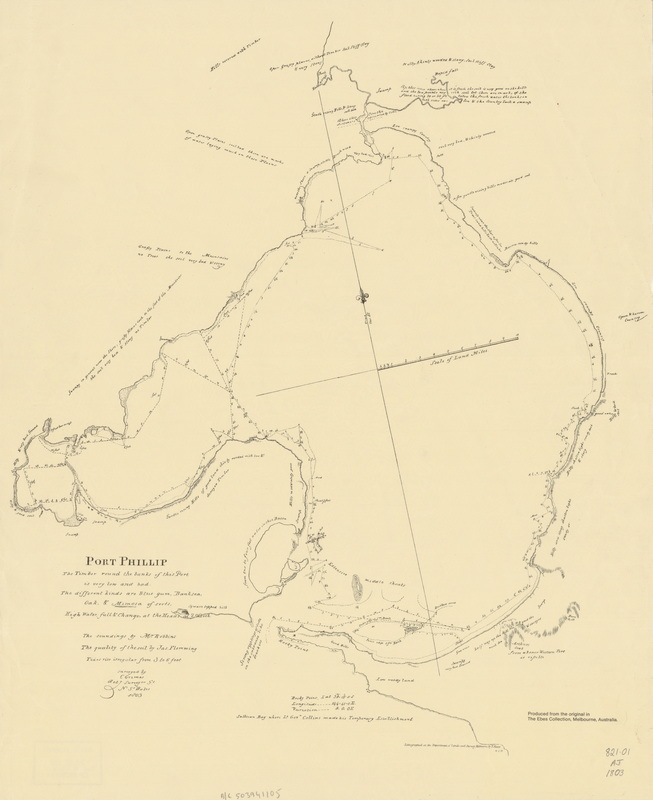 Port Phillip in Bass's Strait. H.M.S. Beagle 1839. 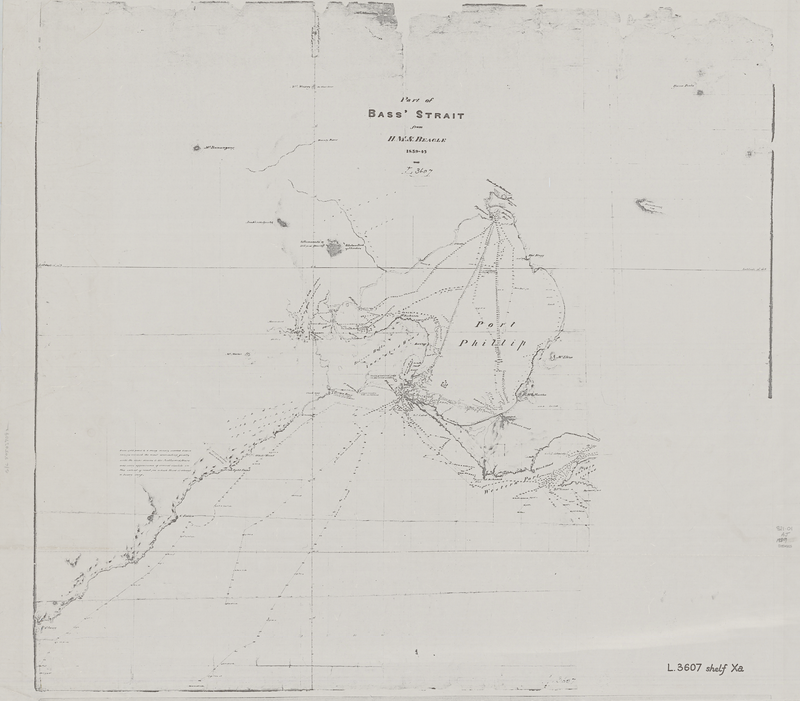 Part of Bass' Strait. 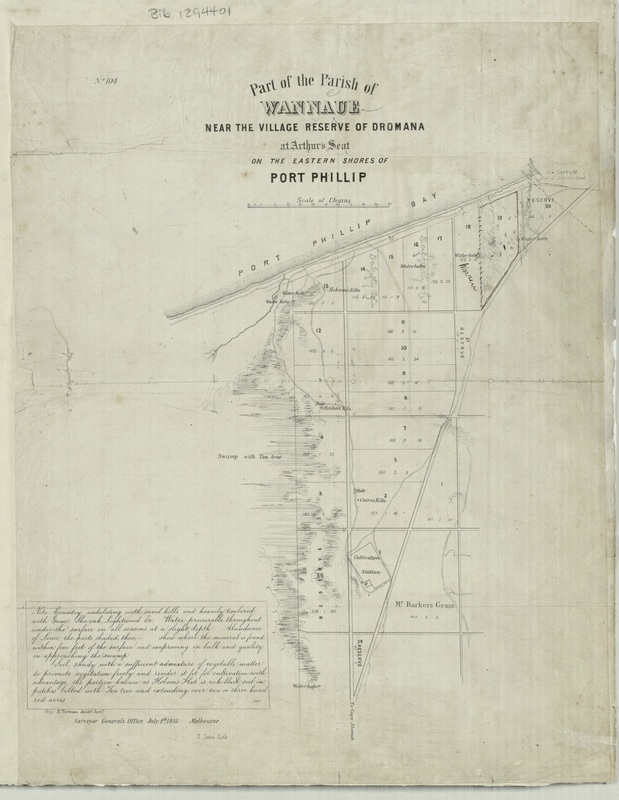 1841 George D Symthe, Survey of the coast from the west side of Port Phillip to Western Port with the internal features. 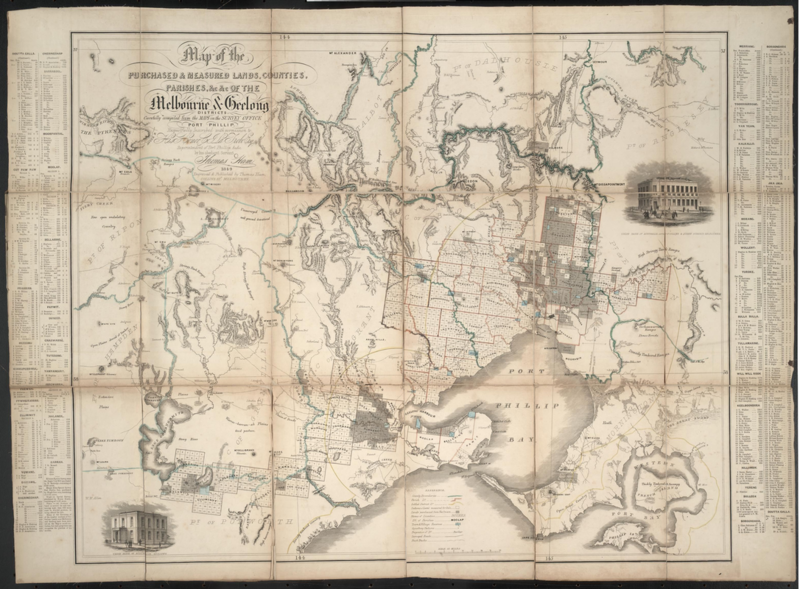 1849 Tomas Ham, Purchased & Measured Lands, Counties, Parishes of the Melbourne & Geelong Districts. 1854 R, Meikel. 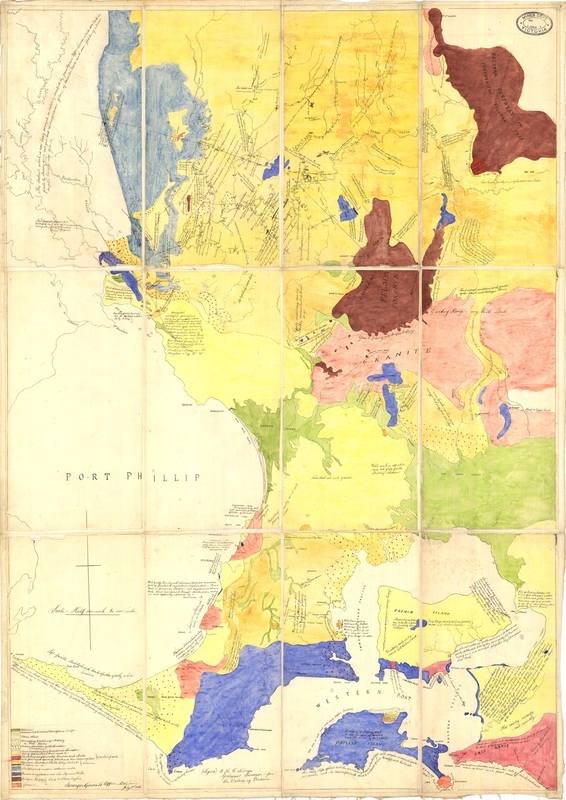 Geological Survey. 1855 J, Jones. 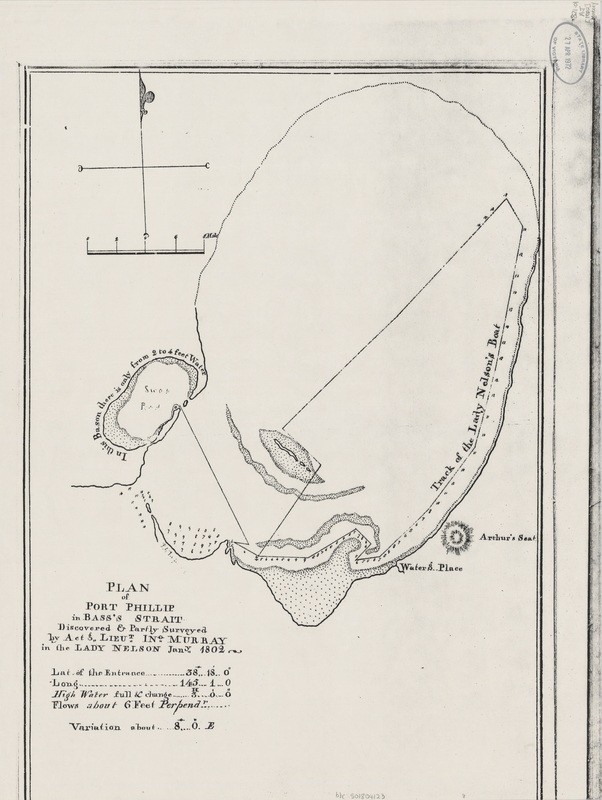 Part of the Parish of Wannaeue near the village reserve of Dromana at Arthur's Seat on the eastern shores of Port Phillip. 1856 R, Sewlyn. 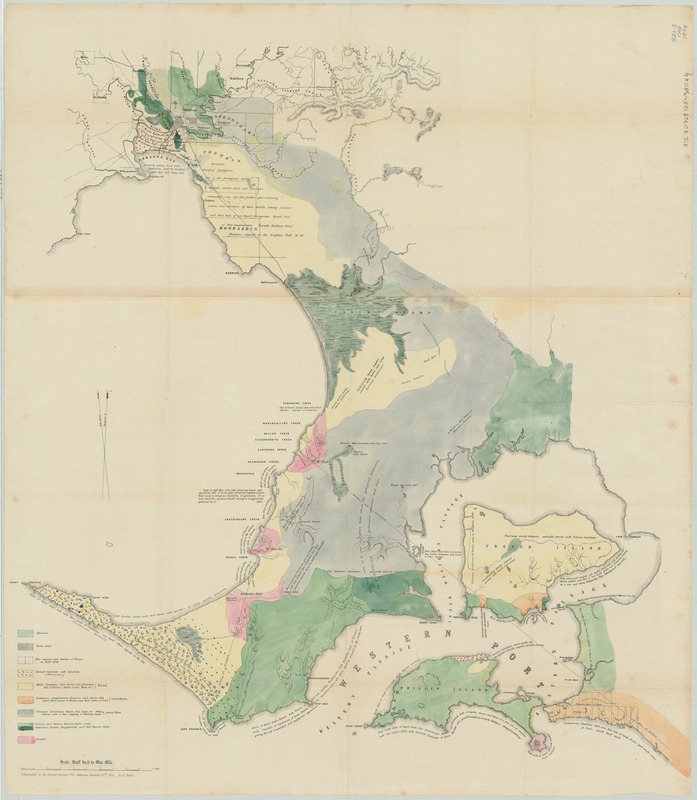 Original Hand Drawn Geological Survey for Colony of Victoria.